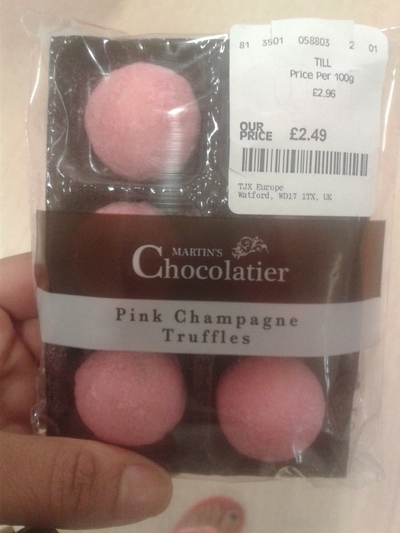 Martin's Chocolatier truffles are the newest little bites of yum I found in TK Maxx for a bargain £2.49. These truffles are the luxury kind, which I dream of. On the Martin's Chocolatier website they're priced at £7.49 a pack, which is quite expensive for six truffles, or at least I think so. Instead of paying such a high price, pop to your local TK Maxx and see if you can find a pack of these beauties. That said, if you can't find any in TK Maxx, buy them from the website because they are exceptional. These classic white chocolate truffles were inspired by the great British summertime tradition of champagne, strawberries and cream while watching a spot of tennis. If you're a fan of fruity chocolate, you will love these handmade truffles with the mix of strawberries, white chocolate and Marc de Champagne. They've certainly got my vote.